One of the things I would love to do is to take my kids to see the Univ. of Florida play a football game. While it may not happen this year, since Montana is so far away, one never gives up hope. Hats off to Albert, the UF mascot! 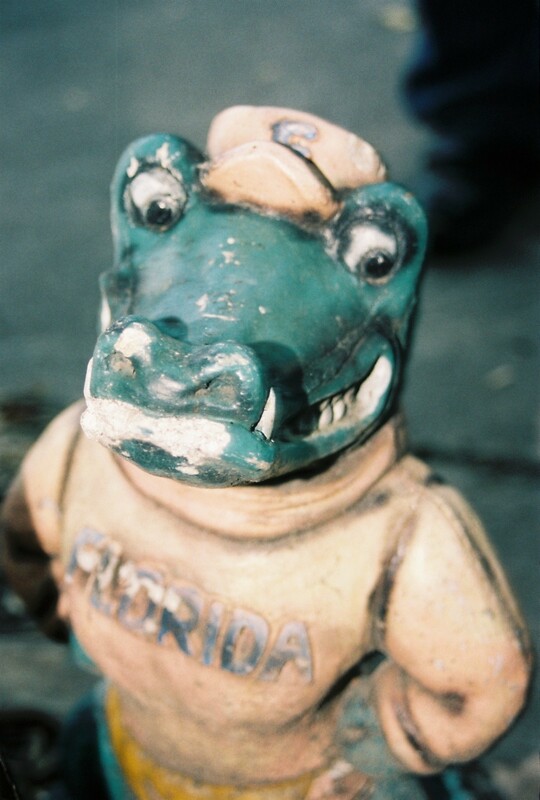 I picked up this statue of Albert, the University of Florida’s mascot, at an antique store many years ago. Go Gators! Albert – Quintessential mascot for the University of Florida.